(Dec. 9, 2013) — On Monday morning, The Post & Email received a message from Tea Party Power Hour host Mark Gillar containing a video which states that “people will be prosecuted” in connection with the Obama long-form birth certificate forgery. Gillar has interviewed Maricopa County, AZ Cold Case Posse lead investigator Mike Zullo on several occasions. He called in to Mike Volin’s WheresObamasBirthCertificate radio show on Friday evening and while speaking with guest Mark McFarlin, candidate for Michigan governor, hinted that action might be coming in the near future on “multiple counts of document fraud” relating to Obama. The Cold Case Posse website does not appear to be functioning as of this writing. Some information on its activities is available through the Maricopa County Sheriff’s Office website. 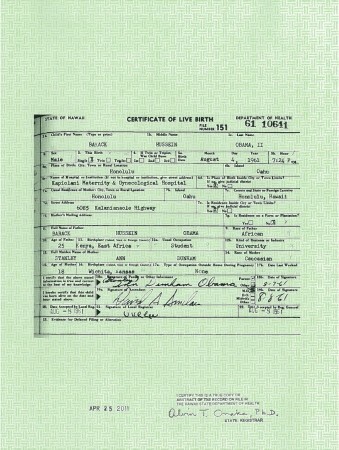 On April 27, 2011, the Obama regime posted what it said was a scanned certified copy of Obama’s original long-form birth certificate held at the Hawaii Department of Health to convince the public that Obama was born in Hawaii and eligible to hold the presidency after real estate mogul Donald Trump challenged Obama on that and other points. The mainstream media ridiculed Trump, broadcast the short presser Obama held, and abandoned the issue, even after experts quickly declared the image fraudulent. In September 2011, the Cold Case Posse began an investigation of the image and found that it did not emanate from a paper document. The Cold Case Posse declared the birth certificate and Obama’s Selective Service registration form “computer-generated forgeries” at an initial press conference, although the mainstream media still refused to report or investigate the matter. Following a second press conference on July 17, 2012, some in the media turned on the investigators, and Obama went on to campaign and win purported re-election to the White House. Since the election, numerous “scandals” and evidence of deep corruption have been exposed by both whistleblowers and victims on the IRS’s targeting of Tea Party and other groups; the seizure of journalists’ phone records without their knowledge; the cover-up perpetrated by the White House on the events of September 11, 2012 in Benghazi, Libya in which four Americans were killed; Obama’s dishonesty about the provisions of the health care bill known as Obamacare; and on Sunday, veteran journalist Seymour Hersh declared that the Obama regime fabricated evidence in an apparent attempt to convince the public that the U.S. needed to invade Syria over its alleged use of chemical weapons. Gillar’s YouTube channel contains the recent video release as well as previous videos on the Cold Case Posse investigation and other topics. Several weeks ago, Gillar interviewed typesetting expert Douglas Vogt, who filed a Notice of Commission of misprision of felony and misprision of treason with the U.S. District Court for the Western District of Washington at Seattle on the Obama birth certificate forgery. Vogt claims to know who the forger is and to have shared his findings with the posse. After the court mischaracterized the filing and stated that it did not have jurisdiction, Vogt appealedto the Ninth Circuit Court of Appeals, where he is awaiting a response. 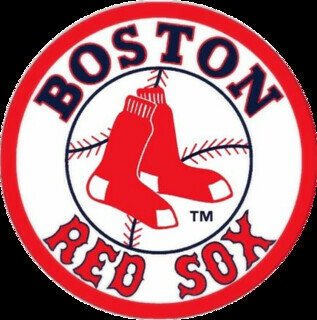 Volin will be interviewing Vogt on Monday evening. Late last week, RedEye host Greg Gutfeld said on his show that Obama is “Kenyan-born.” The Cold Case Posse has stated that there is no evidence that Obama was ever in the state of Hawaii before the age of five, contrary to his public life story. On Volin’s show last week, Gillar had cautiously stated that there is an unprecedented level of optimism among those close to the Cold Case Posse’s 27-month investigation, which has reportedly gone far beyond the fraudulent birth certificate image. At approximately the same time as Gillar’s video trailer was released, “RC” of Reality Check radio released a video stating that the birth certificate image “is not a forgery.” It is believed that a cabal of Obama supporters has assisted in perpetrating the forgery as authentic, ridiculing those who questioned it, and threatening anyone writing or reporting about it, including this writer. Zullo has said that the image is a forgery beyond any reasonable doubt. He has stated on several occasions that members of the media were intimidated into falling silent about the birth certificate/eligibility issue beginning in 2008. “Never has there been so much enthusiasm, so much confidence, such a high level of morale as there is right now…” Gillar said. Share the post "Breaking Birther News"